One of my biggest struggles in my college teacher preparation courses was developing an understanding of how lessons plans were written. Often, I would find really cool books and would want to design lessons based upon the books for my students. However, I was taught that as an educator I must start with a learning objective or goal then find the really cool books to use as tools to help my students demonstrate learning. My early frustration with this philosophy subdued when I came to understand curriculum, grade level standards, and performance indicators. It makes sense in a school setting -- if you having learning objectives to teach about measurement then Measuring Penny by Loreen Leedy would certainly be a cool book to help your students obtain their goal of understanding how to measure height, width, length, weight, volume, temperature, and time. 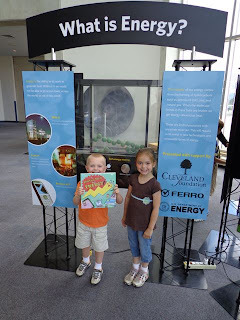 But, I am happy as a parent that I can return to my original comfort zone and let the really cool books drive my children's learning -- just like this week when we read this really cool book The Shocking Truth about Energy by Loreen Leedy which inspired a family reading experience at the local science museum. Loreen Leedy is an author and illustrator of over 40 books for children. Many of her books are used by teachers and homeschooling parents to help meet learning objectives in the areas of math, science, social studies, and language arts. Over the past few weeks, my family read books by Loreen Leedy that covered the topics of graphing, the food pyramid, the 50 states, and writing letters. On her website it states that she, "majored in art in college but wasn't sure what kind of artist she wanted to be. She began making polymer clay jewelry and chess sets and selling them at craft shows. The pins, earrings, and chess pieces were whimsical pigs, cats, dragons, and other animals. "(loreenleedy.com) Her first book, A Number of Dragons was published in 1985, after she began drawing pictures and writing stories about her jewelry characters. Her latest book, Seeing Symmetry, is currently receiving very good reviews. 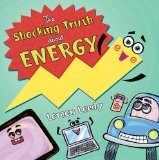 Our favorite book of the week was The Shocking Truth about Energy. 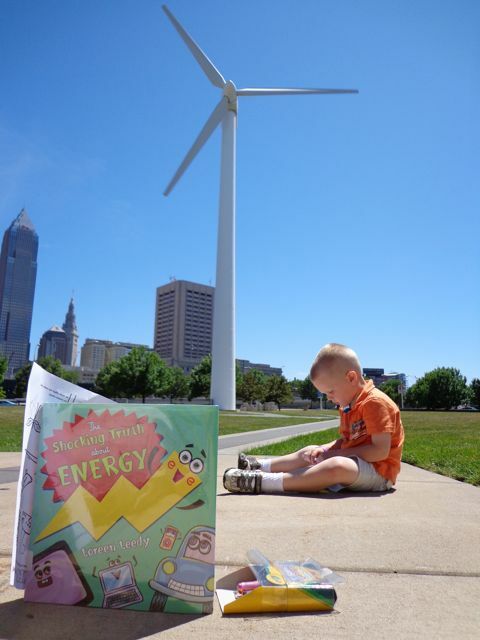 This book features the energetic character, Erg, that taught us all about energy including its different forms and conservation tips. Loreen Leedy said on the I.N.K. blog, "One of the most important aspects of this project to me was to include both the positive aspects of each power source as well as the downsides. For example, the good news about fossil fuels is that they are a very concentrated form of energy. 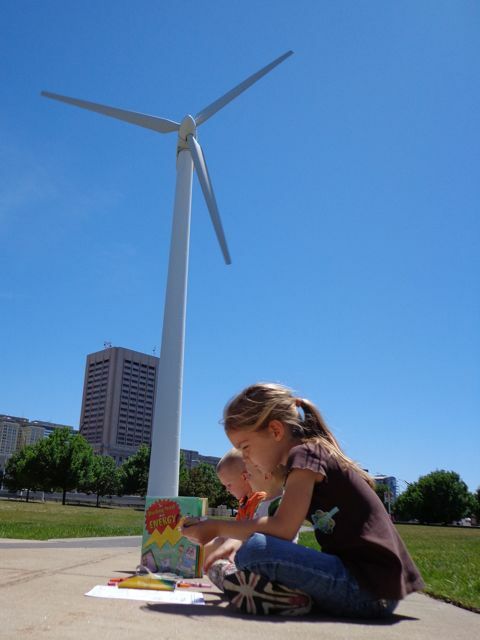 The bad news is that they cause pollution, are not renewable, and contribute to climate change." 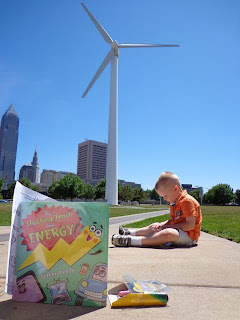 I noticed the following day after reading this book that my son was able to retain quite a lot of information about energy, including the origin of fossil fuels and how a wind turbine generates electricity. I saw the opportunity to foster my children's enthusiasm for energy with a visit to to the Great Lakes Science Center in Cleveland, Ohio. Coincidentally, the first exhibit upon entering the museum was all about energy. They were impressed at the number of solar cells needed to power this solar car! I am happy to have all my kiddos on summer break! We found a nice spot near the wind turbine located in front of the museum to complete an activity sheet that Loreen Leedy provides on her website. The activity sheet was great review of the information we learned from the book and the exhibits at the museum. 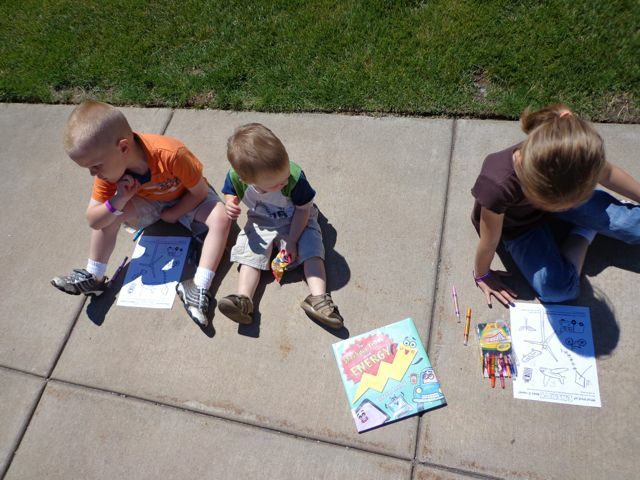 My son took some extra time to color all of the pictures too. 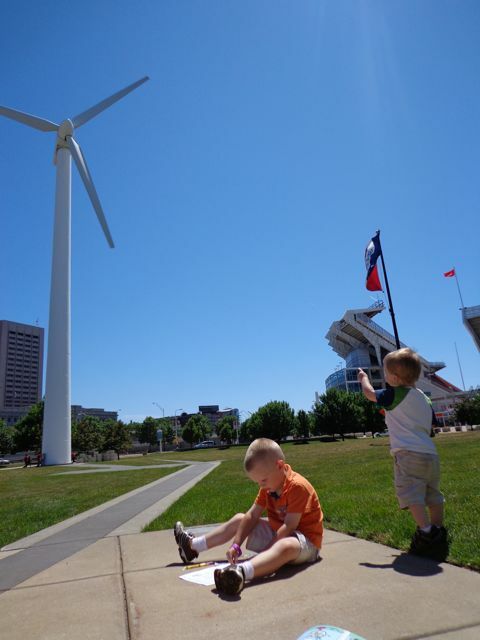 Even my youngest son was able to point out the wind turbine once we were finished. My daughter pointed out the array of solar panels that were located right near the wind turbine. Loreen Leedy said in an interview with Cat and the Fiddle when discussing her Missing Math: A Number Mystery, "My hope is that teachers and parents can use my books to create a true appreciation of math and numbers, especially in children who find the topic puzzling or intimidating." I am quite sure my children have a greater "appreciation" for energy after celebrating Loreen Leedy's birthday this week. 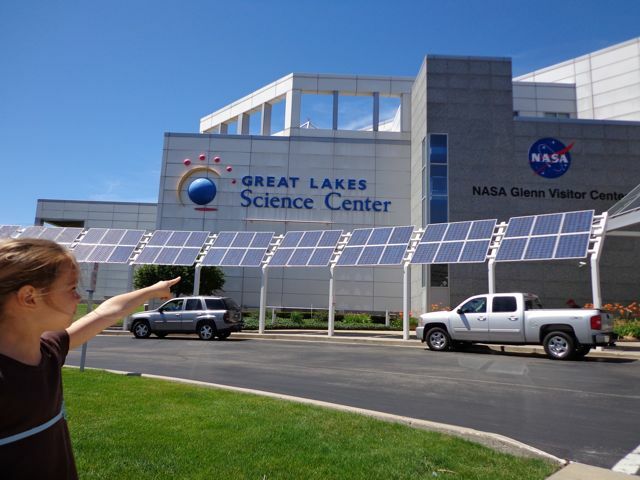 I am very excited and look forward to meeting Loreen Leedy at this year's Mazza Museum Summer Conference in Findlay, Ohio. 9. More Loreen Leedy on I.N.K. Very interesting post chock full of great stuff! :) Someone posted Seeing Symmetry as a Perfect Picture Book - I think last week, but maybe the week before - and I'm really interested to have a look at that one! I was unable to get my hands on Seeing Symmetry, but the reviews are good and the FREE activity guide is AWESOME! Happy birthday Loreen Leedy! We are huge fans. 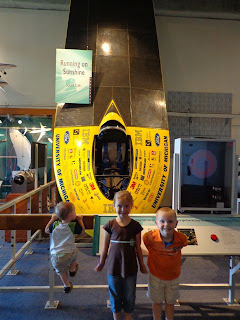 I posted the Loreen Leedy PPBFs two weeks in a row: Seeing Symmetry and Mission Addition. My five-year-old adores her books. Thanks for all your fun activities and recommendations, Eric. I also appreciate the post from last year about Mazza, because while putting together my presentation for this year, it's helpful to hear what others have done in the past. See you there! You are very welcome! 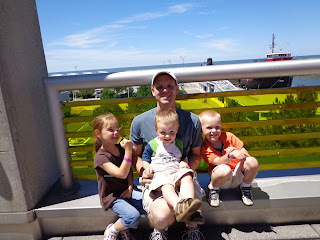 I am so happy that you stopped by the blog! I am very excited for Mazza! See you there!